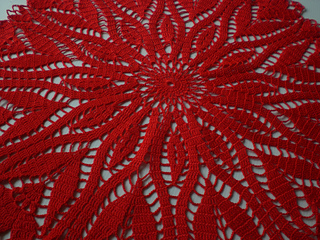 Our elegant crochet doily is fun to make and lovely to display. Enjoy watching the beautiful pattern emerge with every round! Repeat the pattern in a finer weight cotton and smaller hook size to create matching doilies to accent other surfaces in the room! 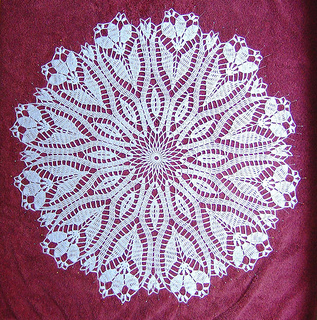 Size: Doily measures approximately 23” in diameter. GAUGE: Rnds 1-5 = 4½“ across. CHECK YOUR GAUGE. Use any size hook to obtain the gauge.